How Long Will Bankruptcy Stay on a Credit Report | Florida Law Advisers, P.A. A common question is how long will bankruptcy stay on a credit report? After a bankruptcy is complete and you receive the Chapter 7 or Chapter 13 discharge, the bankruptcy may last on your credit report for a few years. If you completed a Chapter 13 repayment plan, it may remain on the credit report for 7 years. Chapter 7 bankruptcy will stay on your credit report for up to 10 years. See MyFico.com. 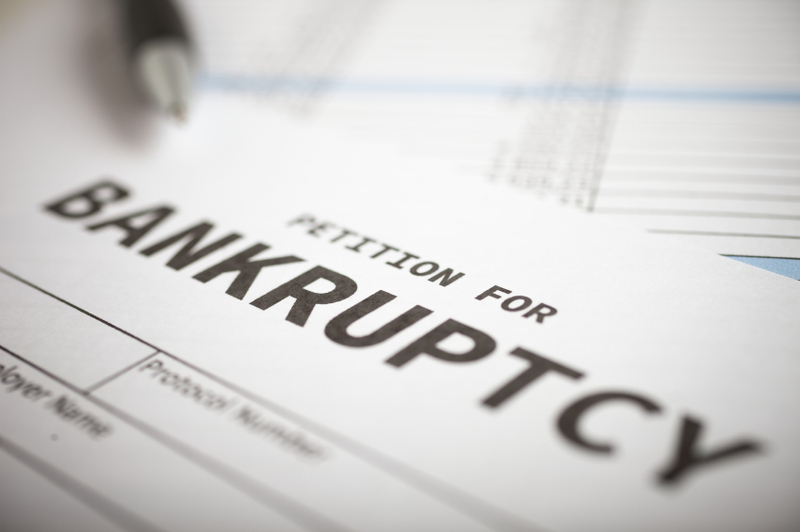 For information on Chapter 7 or Chapter 13, click here to speak with a bankruptcy attorney in Tampa. Filing bankruptcy does not necessarily mean your credit score will take a dive. In my cases, bankruptcy will actually help improve a person’s credit score. Bankruptcy is intended to give people a fresh start. In bankruptcy, debt gets discharged, which releases the borrower from all personality on the debt. Further, creditors will be prohibited from taking any collection activity on a debt that has been discharged in bankruptcy. The discharge of debt can help increase the credit score because there will be a lot less debt owed after the bankruptcy case is completed. Please keep in mind, each case is different and you should consult with a Tampa bankruptcy lawyer for information on how bankruptcy may affect your individual situation. You should be able to apply for credit cards after you receive your discharge in bankruptcy. A great place to start rebuilding your credit is with a secured credit card. This is a credit card where you make a deposit into a savings account and then you receive a line a credit for that amount. For example, if you make a deposit of $800 into the savings account and you have a secured credit card that has a $40 annual fee, your line of credit will be $760. Retail credit cards, such as department store cards, are also a great way to start rebuilding your credit. Often, it is much easier to obtain a credit card from a retail store than it is from a bank after filing bankruptcy. Retail stores like gas stations and department stores are primarily in business to sell their products, not issue credit. With a credit card they can sell you more of their products. Therefore, many of their credit cards are easier to qualify for than other types of credit cards. It is also important after receiving your discharge that you review your credit report on a semi-annual basis. The Fair Credit Reporting Act makes it so every person can receive one free credit report every 12 months at www.annualcreditreport.com. See 15 U.S.C. § 1681. Be careful of using another website for this service because it most likely will require a fee or come with hidden conditions. When reviewing your credit report, there are two types of errors that you could come across: (1) information was added to your report that does not belong to you; and (2) an agency sent the report of a different person, even though the information is accurate. If you see a bankruptcy on your credit report that you did not file, you should file a dispute. You must do this by initiating a dispute with the consumer reporting agency and directly with the creditor. At Florida Law Advisers, P.A., we understand that filing for bankruptcy can be a very confusing and intimidating process. That is why we work so hard to make the process as easy as possible for our clients. When you hire Florida Law Advisers, P.A., you have an experienced bankruptcy attorney in Tampa by your side throughout every phase of the bankruptcy process. We will help ensure your rights are protected and help you receive the utmost relief bankruptcy can offer. To schedule a free consultation with a bankruptcy lawyer in Tampa call 800 990 7763 .